White vinyl flooring brings a bright and contemporary feel to the home. With this versatile shade, you have the freedom to create various looks in your room, whether you like your interior style to be calm and refined or fun and colourful. A white floor can also help your space to feel bigger, providing a large surface which reflects light and blends effortlessly with subdued wall shades. White flooring makes a lovely base for vibrant, retro interiors. The understated shade sits perfectly with pop colours, pastels and prints, giving you the opportunity to capture an energetic feel in your room. 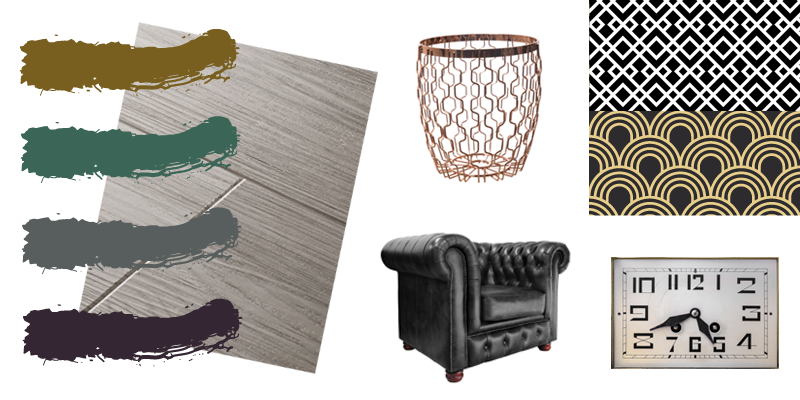 Incorporate eye-catching paint shades, geometric patterns and vintage features to land and eclectic look. 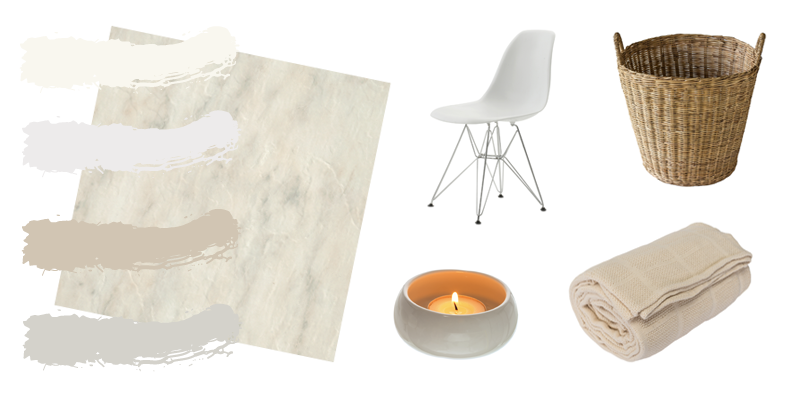 White on white, on white is everywhere in interior design this year. The look is perfect if you want to keep all the limelight on your white floor, with furniture and accessories making pleasant yet understated complements. Off-white and cream features are ideal for the theme while taupe and natural materials such as wood and wicker add subtle contrasts. Feature furs and candles to bring a cosy feel to the style. As white flooring has such a subtle shade, it gives you the opportunity to go bold with darker furniture and shiny features. The colour lends itself to glamorous interior style which incorporates Art Deco, Victorian and vintage influences. Capture the look with opulent wallpaper, gleaming surfaces and lavish furniture. Besides making a versatile addition to your home, white vinyl flooring is a really practical option. With a multi-layered construction and hardwearing surface, it offers high durability, scratch and stain resistance that helps to defend against the everyday activities of home life. And because of its strong, protective surface, Vusta white vinyl flooring is also easy to keep clean with the occasional vacuum and damp mop. 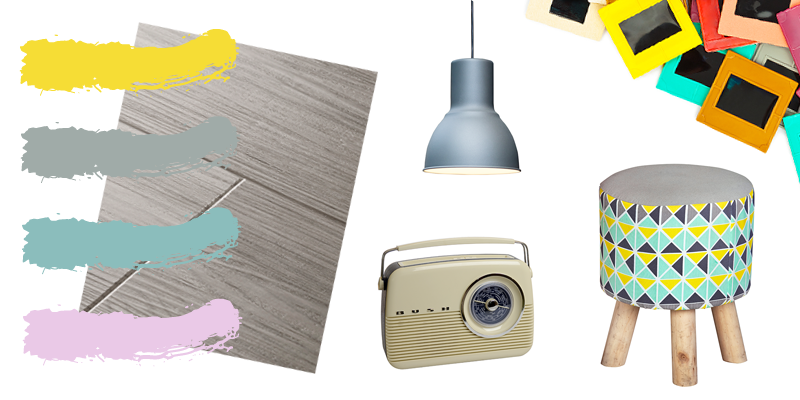 With cool tones and understates grains, White Planed wood-effect planks make perfect company for colourful schemes. White Porcelain is frosted with grey detail in a sleek stone that exudes classic style.